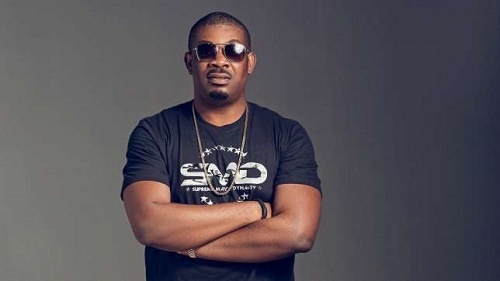 Did Don Jazzy Secretly Marry? Don Jazzy's younger brother D'Prince has said even if Don Jazzy got married, people will not know. So, is Don Jazzy married? Don Jazzy’s younger brother, Charles Enebeli, otherwise known as D’Prince has said that like D'banj, if Don Jazzy gets married no one will know. 31-year old D’Prince welcomed his first child, a son who is named Uriel, with his girlfriend in 2015. “I don’t think it matters; marriage has nothing to do with age. I’ve seen many situations where the last child got married before any other person in the family. "Even if Don Jazzy had been married, people would still not know. We want a private life, but when it comes to music, we like to have fun together. "Involving your private life in music sometimes mixes up things, and doing so is setting up oneself to get hurt”, he said. His comment has thus led us to wonder if Don Jazzy could infact be already married. D'Prince, just like in the case of his former label mate, D'banj, wants his life to be private and separated from his music, and looks forward to a private wedding.